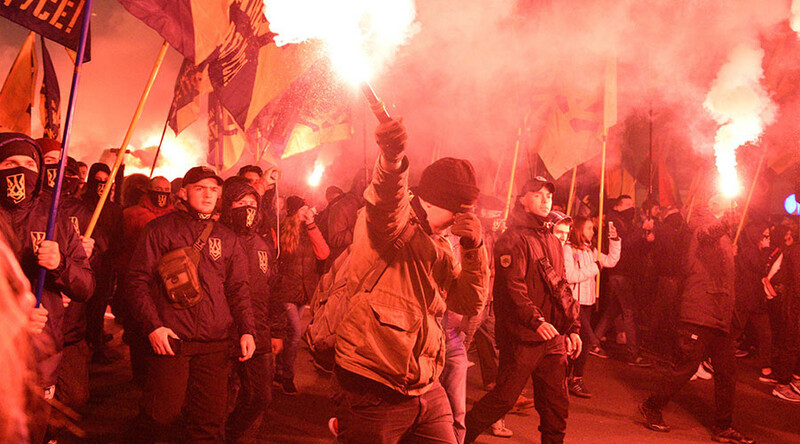 Some 600 members of the so-called National Brigades – a vigilante unit drafted from the ultra-nationalist Azov Battalion have marched through Ukraine's capital, Kiev, saying they're ready to use force to impose "Ukrainian order." During a "swearing-in" ceremony in the center of the Ukrainian capital over the weekend, hundreds of new members swore allegiance to National Brigades and their agenda, which includes “patrolling", "protecting" and "cleansing our streets of the rot like alcoholics and drug addicts”, as police looked on. The entire ceremony was captured on video and promoted on the Brigades' Facebook page. 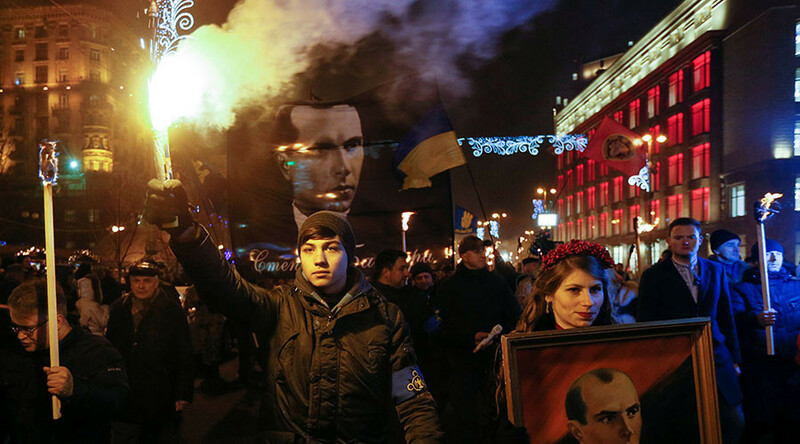 In the footage, men in military-like formations, some clad in camouflage and others in matching black coats and masks, are seen marching through central Kiev and gathering at the iconic Independence Square, more commonly known as the Maidan. They then march through a torch-lit corridor, all the while waving black flags. 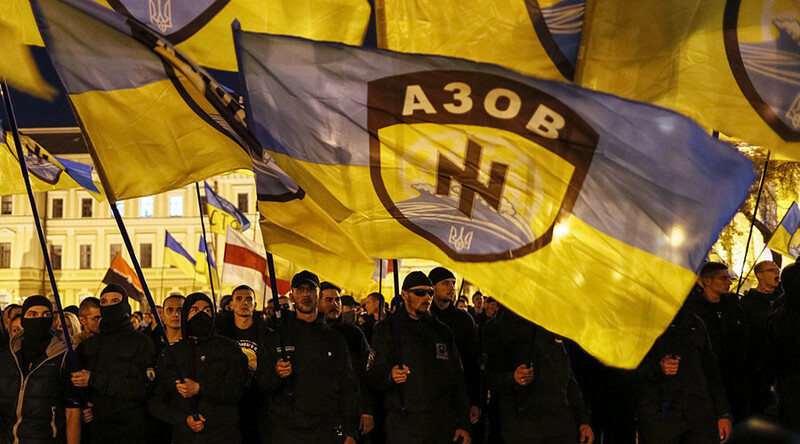 The commander of the violent ultra-nationalist paramilitary Azov Battalion, Andrey Biletsky, delivers a fiery speech over the images, outlining the Brigades' purposes. 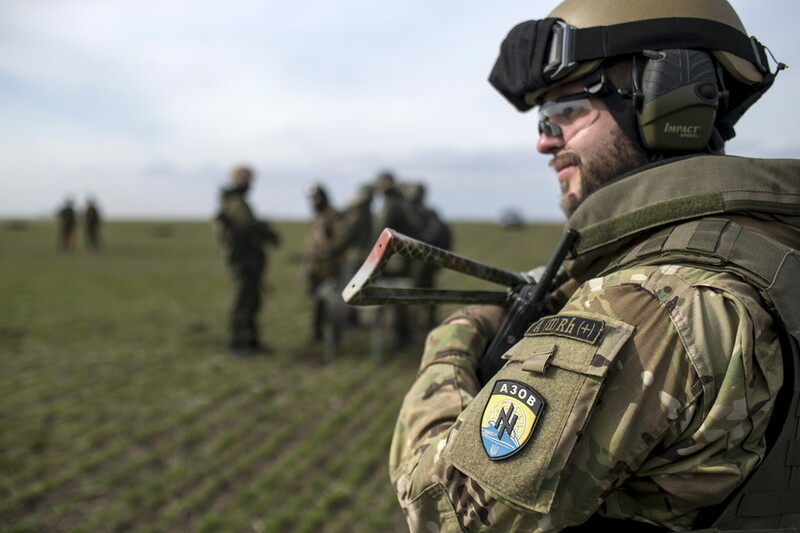 It includes bringing about a "Ukrainian order" to Ukraine's cities, with the Brigades openly proclaiming that they are ready to use force to do that. 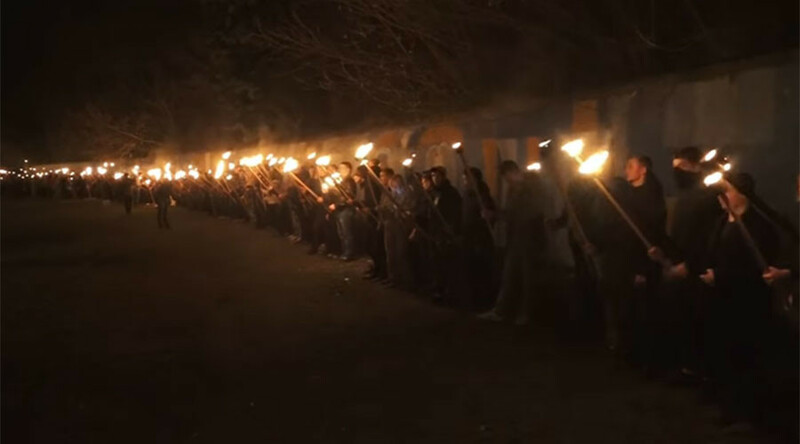 The National Brigades are comprised of “former combatants, patriotic youth and concerned citizens,” and are “part of the Azov movement,” according to Roman Chernyshev, spokesman of the Ukrainian National Corps party – the political wing of the Azov Battalion, notorious for its Nazi-like agenda and symbolism, as well as violence in the rebel-held regions in Ukraine's east. 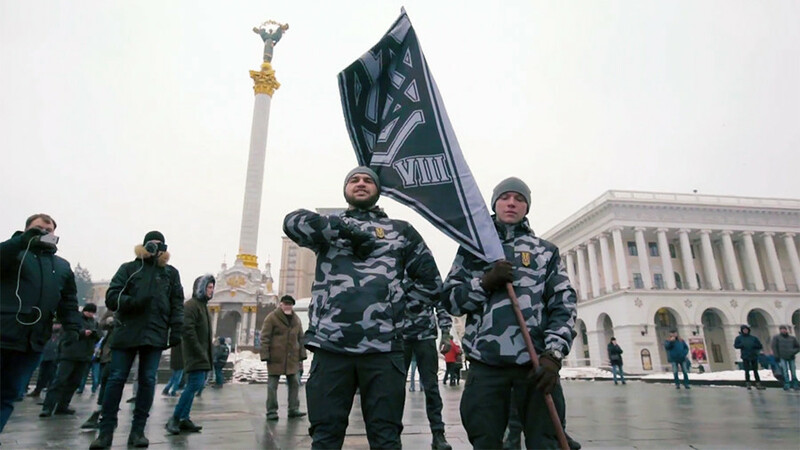 The National Brigades won't bear arms, according to Chernyshev, although promotional videos on their Facebook page show off knife and firearm training. They are not officially affiliated with the police, but are in "good contact and cooperation" with it, Chernyshev said. 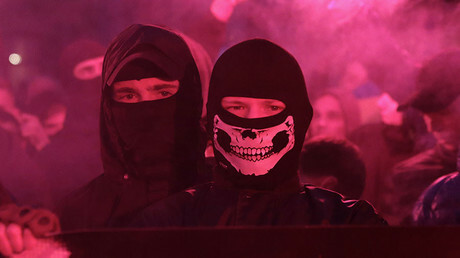 Indeed, uniformed policemen walking alongside the initiation parade in Kiev did not seem to mind having files of black-clad, masked radicals marching through the capital. Financed by "businessmen" whom Chernyshov did not name, the National Brigades have been in existence for a year, but held their first "swearing in" ceremony only now.